Have you ever wondered about the best series depicting high school? Check these out. 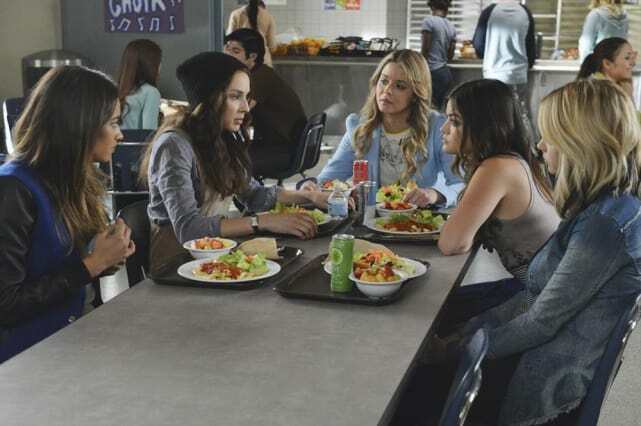 One of the biggest days was Alison's return to high school after two years absence, the same time Caleb tested to drop out! High school means everything when you need a different type of education, and students even overtook Carlton to keep it for deaf students. These students mean business! When troubled youth Ryan Atwood was taken in by Seth Cohen's wealthy family, it was a tough adjustment for both high school students resulting in a terrific fish out of water saga. Pretty Little Liars Round Table: "March of Crimes"
PLL Round Table: "Taking This One To The Grave"
Glee Season 6: Who's Coming Back? Buffy the Vampire Slayer and Dawson's Creek: Coming to ABC Family!